Join as a member and get lots of amazing benefits! S&CBC membership has changed to our amazing new The Ladies Shooting Club membership. It's just like the old membership, but with so much many more benefits! Join our brand new club and get a £10 discount on all S&CBC events + access to a thriving community and monthly online training bundles! Are you joining us for #NLSD2018? Get £2 a month off membership by entering the code 'NLSD2018' on enrolment! £10 off all S&CBC events! 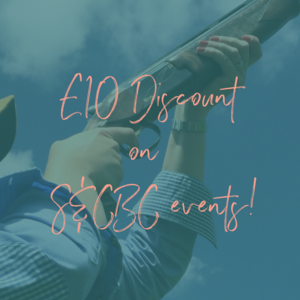 When you join we'll send you your login details for The Ladies Shooting Club + your discount code to get £10 off all S&CBC events! 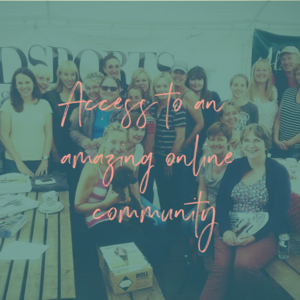 Community is a huge part of our club and as a member you'll get access to our secret Facebook community where you can forge friendships & seek advice + Facebook Live Q&A's with experts! Each and every month there'll be a brand new training bundle in the members area which we think you'll love! The Ladies Shooting Club is our brand new online platform for women shooters which is a huge hit with so many ladies. The sister club to the S&CBC it provides an amazing support network, a genuinely caring community of women shooters and expert advice from the best in the industry! Membership is £12 per month. To join, click the button which will take you to The Ladies Shooting Club website. Sign up, then we'll email you all of the details and your S&CBC events discount code!